Feeling like a moment of relaxation in a Zen atmosphere? 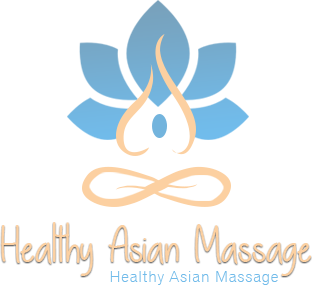 Healthy ASIAN Massage is the must place for an authentic Asian massage in Brussels. Our team members of massage experts come from various places of the world, including Tibet and China. Run by a Tibetan manager, our massage center has been offering its services to many satisfied customers for more than 3 years. Massage is fully part of the Asian culture. It is an art that has been renowned for centuries. At the Healthy ASIAN Massage center, relaxation is the rule. You can let yourself go and trust your body to the expert hands of our skilled masseurs. We master several techniques like the Thai massage to relieve tensions in your back, your legs and feet. Massage is also efficient on various muscular pains and contributes to boost blood circulation. Are you Lacking energy? Feeling tensed? An herbal pouch massage could be what you need. This specific care is a traditional Thai technique. It uses little rice bags filled with a mix of precious herbs and spices. Applied alternatively on the oiled skin with the masseur’s hands, they eliminate tensions, tonify and nourish the skin... Their effects on the body and mind are countless. Our massage center offers you an opportunity to allow yourself a break in a Zen atmosphere, with skilled masseurs. Let us know the reason of your visit: we can recommend a certain type of massage for you. Indeed, each technique meets specific requirements. Thanks to 10 years of experience in massage, the center manager can provide you with his expertise. Don’t hesitate to get in touch with us through our contact form for a Chinese massage or any other massage. You would like to visit us? Our massage center is open from 11 a.m. to 11 p.m. everyday. Located in Brussels, the center can be reached from Anderlecht, Ixelles, Schaerbeek, Laeken and Ganshoren.